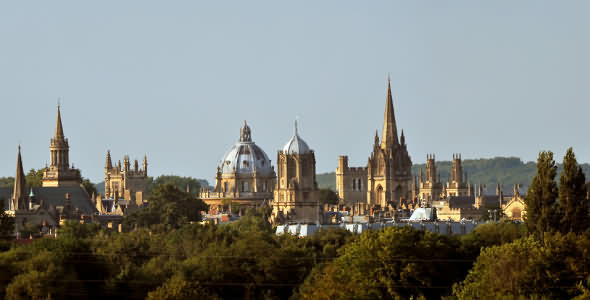 Often ranked one of the best cities to live in the UK, Oxford is certainly one of the best to visit. 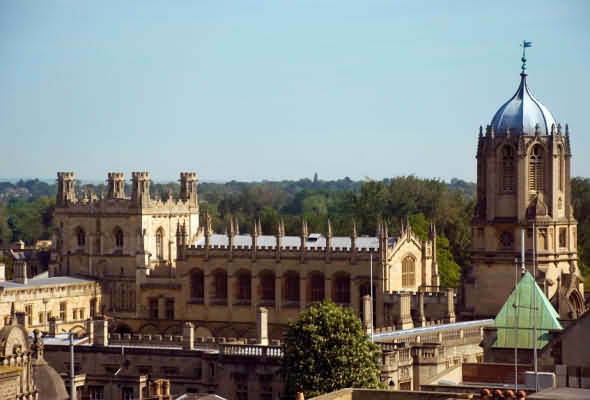 There was once a time in history when the name “Oxford” referred only to the famous university itself, but today, Oxford is a city in it’s own right, a cosmopolitan hub of history, learning, culture, and green spaces. 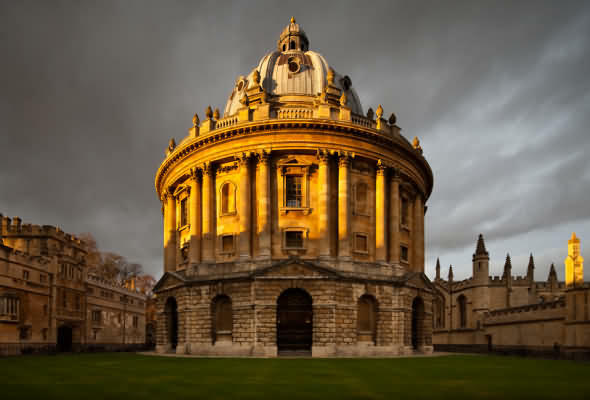 The golden stone buildings of the ancient university, founded in the 1100s and the oldest in the English-speaking world, shapes every aspect with its dreaming spires, towers and domes. Yet rather than existing separate from the vibrant pulse of the city centre, the university’s 38 colleges share its heartbeat, making it impossible to know where one ends and the other begins. Interesting, diverse people flock here. They mill about the bookshops, coffee houses, pubs and eclectic covered market, down cobblestoned lanes and secretive alleyways. Unsurprisingly some of the most fascinating people in history and art have been linked to the city – particularly writers – and it’s a popular setting for novels, and also regularly used as a filming location for productions including the Inspector MorseTV series and Harry Potter movies. In fact, the Great Hall at Christ Church College inspired the dining hall at Hogwarts and the famous Bodleian Library with its collection of ancient chained books served as inspiration for the school of wizardry’s own library. Oxford’s combination of ancient history and contemporary edge makes it a place that stokes the imagination, a place where you could exit a modern retail shop, turn a corner and suddenly feel you’ve stepped several hundred years back in time. Perhaps this is why so many authors wrote stories about fantasy worlds while living here. People like C.S. Lewis who wrote the Narnia chronicles, his friend J.R.R. Tolkien author of Lord of the Rings, Lewis Carroll who penned the fantastical Alice in Wonderland, and local Philip Pullman who set the His Dark Materials trilogy here. 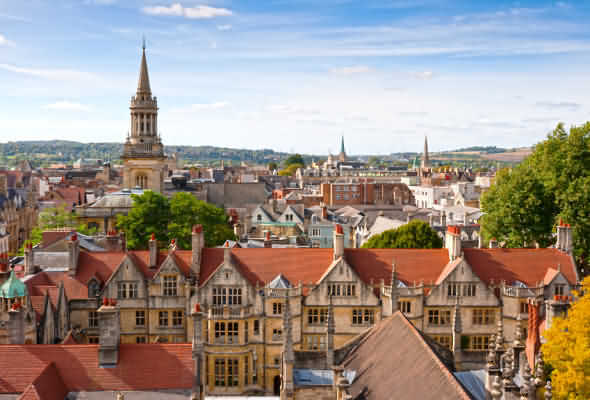 As well as offering ethereal, otherworldly charm, Oxford also offers much in the way of entertainment: the world’s oldest museum, The Ashmolean, is here (along with several other museums) and there are many theatres, concert halls and live music venues – always with something interesting going on. As well as classical and choral music, Oxford possesses an accomplished modern music scene that has evolved through the influence of local bands including Radiohead, Supergrass and Stornoway. Oxford is a truly walkable city and one of the best ways to properly explore its quadrangles, chapels and gardens is on foot. Follow your nose, or better yet book a walking tour and get access to the grand colleges and learn the history behind some of the city’s most famous buildings like the Radcliffe Camera, the Sheldonian Theatre and of course the Bodleian Library inside which generations of famous scholars have studied including 5 kings, 25 prime ministers and 40 Nobel Prize winners. After all that exploring and discovery has left you feeling a little worn out, you can pass hours of pleasant downtime in one of the many lovely green spaces like the Botanical Garden or Christ Church Meadow, or enjoy a lazy punt down the river. And of course, you can follow in the footsteps of all the best scholars and artists by setting the world to rights over a pint of local ale beside a fireside in one of the city’s wizened, quintessentially English pubs. King Alfred the Great. Archaeological finds attest to a history stretching back much further, however. Romans made the area a pottery centre, and the Saxon princess and saint Frideswide (born 650 AD) founded a religious community on the site of Oxford's Christ Church Cathedral. Oxford Castle was built in 1072 and after spending time as a prison is still standing today and is open to visitors. Both Richard the Lionheart and King John were born at nearby Beaumont Palace, which was also built in the 11th century, but sadly no longer exists. A plaque on busy Beaumont Street marks the spot. The university was founded in 1167. The oldest colleges are University College, Balliol College, and Merton College, all of which were established before the 13th century. Perhaps the most famous is the elite Christ Church College, which dates back to the 1500s and was used as a filming location for Hogwarts. It was also the birthplace of Alice in Wonderland. Shortly before Oxford was officially made a city, Henry VIII closed the abbey, the priory and the friaries in 1538. When his daughter Mary tried to restore Catholicism decades later, three famous Protestants, Thomas Cramner Archbishop of Canterbury, Nicholas Ridley Bishop of London and Hugh Latimer, were tried and executed (burned to death) in Broad Street. A martyr’s memorial was later built nearby in 1843. In 1651 the first coffee house in England opened in Oxford and you can still buy coffee and eat there. By the 18th century the streets of the city were becoming so increasingly congested on market days that the famous covered market was created. To this day it is still a popular place for purchasing fresh vegetables, meat and fish, and it houses many unique boutiques. underwent a transformation when William Richard Morris (later 1st Viscount Nuffield) established a factory to mass-produce his famous Morris motor cars, on the southeast edge of the city. Today, Oxford and its environs are still renowned for car manufacturing. William Morris founded the Nuffield College at Oxford University. 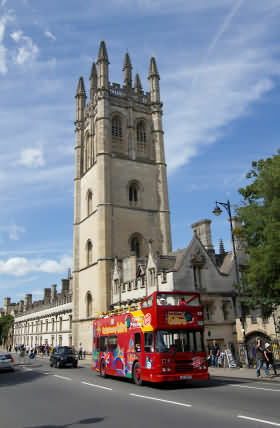 Oxford escaped relatively unscathed during the bombings in Word War II. Quite possibly Hitler deliberately avoided damaging the city because it is said he planned to make Oxford his headquarters upon invading Britain. St Giles' annual Fair takes place on the Monday and Tuesday following the first Sunday after St Giles' Day (1 September). St Giles' Fair is one of the greatest and most prestigious in the country. St Giles Fair is held on St Giles a street in the centre of Oxford. It is rather an unusual English fair because it is held in the middle of a city on a normal street rather than in a fairground. It brings the centre of Oxford to a standstill while it is on, with traffic diverted, lots of extra visitors, noise and excitement. The Fair is named after the street in Oxford where it occurs, which in turn is named after the church at one end which is dedicated to the saint. Saint Giles (died c 710) was a hermit who became very popular in the 7th century and founded a monastery in St Gilles, in the Camargue. His shrine later became an important pilgrimage centre. He was particularly linked with the patronage of cripples, lepers and nursing mothers. The 38 colleges comprising what is the oldest university in the English-speaking world are a must-see and best visited on an official guided walking tour. 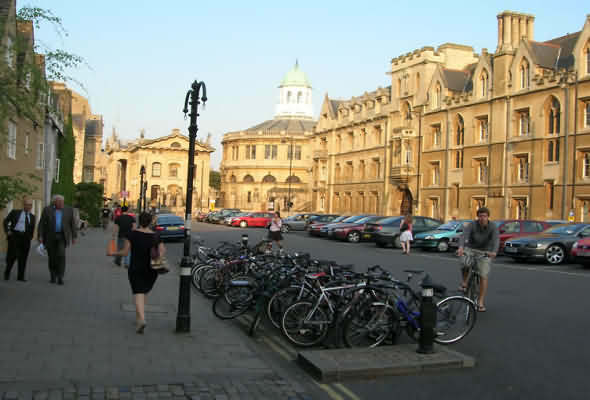 More information about - Oxford University Colleges. A large lofty, dome-shaped building, the Camera was built by James Gibbs between 1737 and 1749 using money bequeathed by the famous physician John Radcliffe. Today it contains two reading rooms and is often used for special events. More information about - Radcliffe Camera. The University’s main research library dates from 1602 and is globally acknowledged to be one of the greatest libraries in the world. Its priceless collections include the earliest surviving book written wholly in English and a quarter of the world’s original copies of the Magna Carta. A beautiful building with incredible acoustics often used as a concert hall for Oxford's flourishing classical music scene. The Sheldonian Theatre was erected in 1664-8 to a design by Sir Christopher Wren and was described by the European Commission in 1994 as "one of the architectural jewels of Oxford". Dating back to the 11th century, the castle has undergone several transitions and spent many years as a prison. Today, visitors can discover its grisly past as well as dine in one of a complex of restaurants – and also spend the night in the main part of the building, which has been eccentrically transformed into a luxury boutique hotel. The 'new' Ashmolean Museum of Art and Archaeology dates from 1845.The present Ashmolean was created in 1908 by combining two ancient Oxford institutions: the University Art Collection and the original Ashmolean Museum. The building was designed by Charles Cockerell in a classical style and stands on Beaumont Street. One wing of the building is occupied by the Taylor Institution, the modern languages faculty of the university. The main museum contains huge collections of archaeological specimens and fine art. The original museum (old Ashmolean) was established 1683. The Ashmolean is the world's first university museum and the oldest museum in the UK and one of the oldest in the world. The Museum of the History of Science houses an unrivalled collection of early scientific instruments in the world’s oldest surviving purpose-built museum building, the Old Ashmolean on Broad Street, Oxford. It is an active public museum, offering a programme of public lectures, family-friendly events, gallery tours, table talks and much more, along with taught sessions for schools. A collection of the university’s zoological, entomological, palaeontological and mineral specimens. This holds one of the world’s finest collections of anthropology and archaeology, with objects from throughout human history, hailing from every continent. The oldest and one of the loveliest riverside botanic gardens in Britain located on the banks of the River Cherwell, a stroll away from Corpus Christie and Merton Colleges. Opposite is Magdalen (pronounced Maudlin) College and a little further on in Longwall Street is the garage where in 1913 William Morris produced the first 'Bullnose' Morris Oxford motorcar. Christ Church Meadow is a large area of green pasture, home to a heard of beautiful Longhorn cattle roaming in the heart of the city centre. 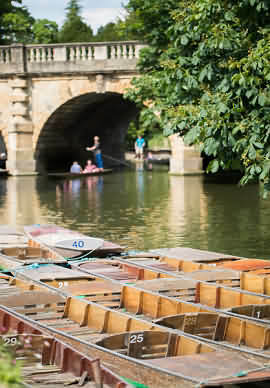 Punting on the river is a longstanding local tradition and a lovely way to spend a sunny day. Take a stroll through Jericho, the trendiest residential neighbourhood in the city, and cross Port Meadow with its grazing livestock. When you get to the river, turn right and soon enough you’ll discover the lovely Perch pub and restaurant, a favourite haunt of Lewis Carroll and the setting for one of his first readings of Alice in Wonderland. 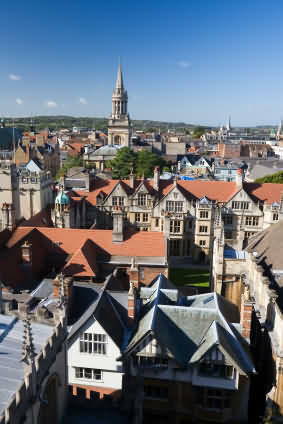 Oxford is situated on the edge of the most beautiful and unique region in the UK. Perfect for a drive out to explore quaint villages and beautiful countryside. The Cotswold touring company UNDISCOVERED COTSWOLDS provide Private Hire Car Tours or group MiniBus Tours with Pick-Ups from Oxford. Oxford is a city for all seasons. Imagine golden buildings caught by spring sunshine, summer afternoons punting on the river, autumn leaves softly falling in ancient college quadrangles or choral music sung in college chapels on crisp winter evenings. The added gem is you are only a few miles from the most beautiful and unique region in the UK - The Cotswolds. Oxford is a very popular filming destination for both TV and Cinema. Very well known for the Inspector Morse Midsomer Murders TV series. Cinema films include Harry Potter, The Bourne Ultimatum (2007), Brideshead Revisited (2008), The Oxford Murders (2008) and The Madness of King George (1994).